CLICK HERE for information on how you can help those affected by the severe flooding in America's heartland. AARP works to connect Americans from the big city to rural America. In this AARP Live Minute: Sarah Jennings shares three ways to prepare for a disaster including creating a kit with water and other provisions. New data to inform decisions about ag education, research, farm programs, rural development, and much more over the next several years. 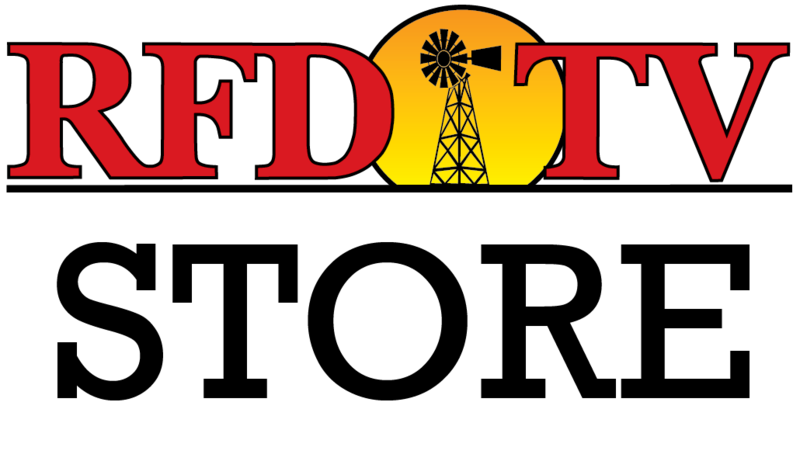 Help RFD-TV Honor Those Who Teach Rural America’s Next Generation! In this episode, we visit a beef nutritionist at AG Partners uses precision biotics to improve performances of herds of all sizes. This spectacular travel package highlights the combined richness of Ireland's cultural, scenic, and agricultural heritage. Thu, Apr 25 – 10 PM ET | 9 PM CT | 8 PM MT | 7 PM PT – This unique event features twelve horses chosen from wild herds that were sold and invited back one year later to compete for a purse of $25,000. Mon, Jan 28 – 8 PM ET | 7 PM CT | 6 PM MT | 5 PM PT – Tecovas offers high quality, comfortable cowboy boots at an honest price! RFD-TV Needs Your Help to Protect Rural Programming! Your representatives in Congress need to hear from you today! THE AMERICAN Tickets on Sale Now! Regular tickets to THE AMERICAN, Season Tickets, and Semi-Finals tickets are all on sale! Hosted by Bill Gaither, Joey + Rory singing their favorite hymns and discuss the strength which these timeless songs provided to them during their very difficult struggle. Today on RFD-TV. Hosted by Bill Gaither, Joey + Rory singing their favorite hymns and discuss the strength which these timeless songs provided to them during their very difficult struggle. Thu, Jan 25 – 6:30 PM ET | 5:30 PM CT | 4:30 PM MT | 3:30 PM PT – The Gatlin Brothers, Oak Ridge Boys and Gaither Vocal Band combine for an incredible show. Find out more. WATCH RIGHT HERE ONLINE! – This unique event features twelve horses chosen from wild herds that were sold and invited back one year later to compete for a purse of $25,000. Thu, Dec 28 – 10 PM ET / 9 PM CT / 8 PM MT / 7 PM PT – Gentle Giants covers this event from the Oklahoma State Fair in a one hour special. The perfect gift for the RFD-TV farmer or gardener! “The Bluegrass Trail” – Attend LIVE Tapings! New music and a major announcement are on the way. Get details and see photos. The Best Cowboy Movies of All Time! Pull out the popcorn! We've rounded up the 10 best cowboy movies of all time.